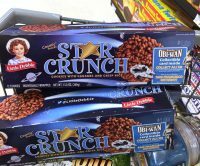 Little Debbie and Rancho Obi-Wan—an Intergalactic Match! Thank you all, happiest holidays and a bright new year. Star Wars and all associated property is © Lucasfilm Ltd. & ™. All rights reserved. Rancho Obi-Wan is a proprietary term used under authorization. 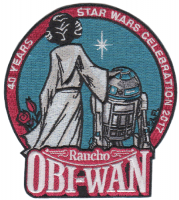 * Rancho Obi-Wan, Inc. is a public charity under section 501(c)(3) of the United States Internal Revenue Code, tax ID 45-3771886. You may be able to deduct donations from your federally-taxable income. Contact a tax professional for details on your specific situation.